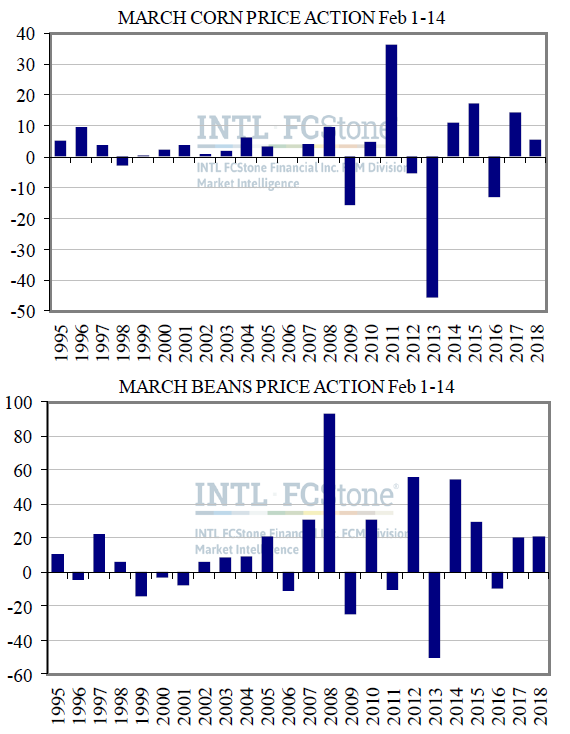 Today’s chart shows price action for the spot corn and soybean contracts over the first half of the month of February, since 1995. Generally a quieter time for the markets following the January batch of reports and prior to the Feb Ag Outlook (only two moves of more than 17 cents during this span for corn), that may not be the case with the report delays this year. Corn rose during this time frame in four of the last five years (averaging a +12 cents each), and soybeans have gained in 12 of the last 17 seasons since 2002.